Save 80% on Bandwidth and Storage with Data Deduplication for Endpoints. A significant portion of enterprise data is duplicated across users and endpoints. 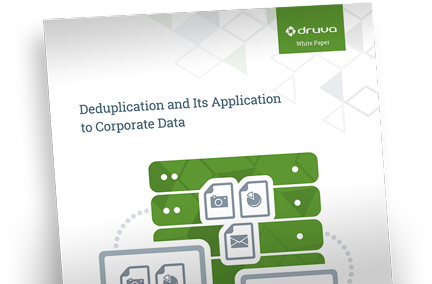 Druva's unified solution for backup, DLP & file sharing uses an innovative data deduplication technology to reduce storage and bandwidth utilization by up to 80%.